A Jose Abreu RBI single broke a 7-7 tie in the ninth, and the White Sox held on for an 8-7 win over the Baltimore Orioles Saturday night. The O’s (14-9) had tied the game on a two-out, two-run double by Chris Davis in the eighth. 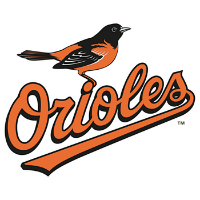 It was not a clean night for Baltimore’s vaunted bullpen, which gave up five runs on six hits in three innings of relief of starter Kevin Gausman, who got a no-decision for his night in which he surrendered three runs, two earned, on four hits in six innings. Darren O’Day gave up three runs in the eighth, the big blow a two-run homer by Todd Frazier that gave Chicago (17-8) a 7-5 lead. Closer Zach Britton (0-1, 2.70 ERA) took the loss. Pedro Alvarez and Jonathan Schoop each homered for the O’s.